The protein arginine methyltransferase 5 (PRMT5) and its catalytic partner methylosome protein MEP50 (WDR77) catalyse the mono- and symmetric di-methylation of selective arginines in various histones and non-histone target proteins. It has emerged as a crucial epigenetic regulator in cell proliferation and differentiation; which also reported to be overexpressed in many forms of cancers in humans. 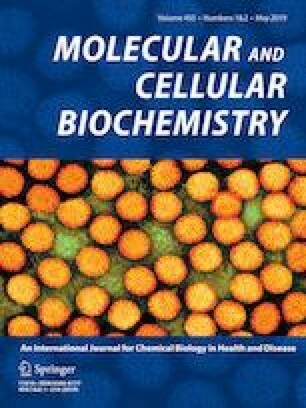 In this study, we aimed to assess the modulations in the expression of this enzyme upon exposure to the well-studied natural compound from the spice turmeric, curcumin. We exposed the lung and breast cancer cell lines (A549 and MCF-7) to curcumin (2 and 20 μM) and observed a highly significant inhibitory effect on the expression of both PRMT5 and MEP50. The level of symmetrical dimethylarginine (SDMA) in multiple proteins, and more specifically, the H4R3me2s mark (which predominates in GC-rich motifs in nucleosomal DNA) was also diminished significantly. We also found that curcumin significantly reduced the level and enrichment of the transcription factors Sp1 and NF-YA which shares their binding sites within the GC-rich region of the PRMT5 proximal promoter. Furthermore, the involvement of both PKC-p38-ERK-cFos and AKT-mTOR signalling was observed in reducing the Sp1 and NF-YA expression by curcumin. Therefore, we propose curcumin decreased the expression of PRMT5 in these cells by affecting at least these two transcription factors. Altogether, we report a new molecular target of curcumin and further elucidation of this proposed mechanism through which curcumin affects the PRMT5-MEP50 methyltransferase expression might be explored for its therapeutic application. The online version of this article ( https://doi.org/10.1007/s11010-018-3471-0) contains supplementary material, which is available to authorized users. The authors acknowledge the funding and support of the Science and Engineering Research Board (SERB), New Delhi, India (EEQ-2016/000251). BC, and KG designed, carried out the experiments, analysed data and equally contributed to preparation of the manuscript. LS helped to acquire certain experimental data. SRK designed experiments and provided materials. BC, KG, and SRK wrote the paper. The authors express no conflict of interest.